Mike takes pride in the fact that he has made a living with his guitar for the last 40 years! 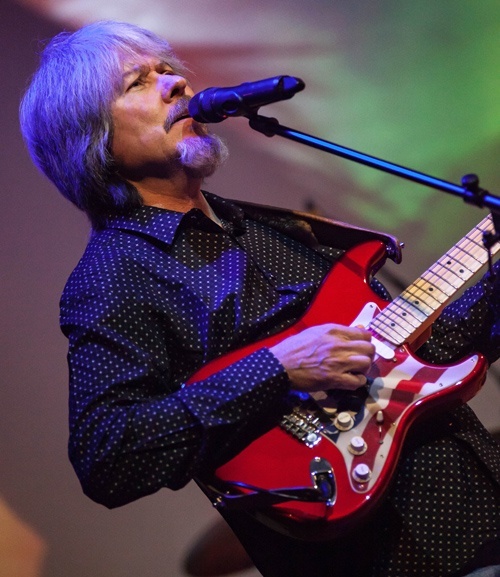 He has taught guitar for many years including 14 years with Tarpley Music based out of Texas. He has also taught many years on his own and one of Mike's students was Matt Martindale of Cooder Graw in Pampa, Texas. Gary P Nunn has published and recorded two of Mike's songs, "West Texas Swang Thang" from Gary's CD, "Something For The Trail' and he also recorded Mike's Christmas song that was a single, called "The First Christmas Gift". Mike has recorded over 130 CD's with such varied artists as Lloyd Maines, Gary P Nunn, Ben Atkins, Mel Tillis, Boxcar Willie, The Osmond's, The Moffatts (Polydor, Nashville), & Rex Allen Jr. just to name a few. Taylor Guitars "Wood & Steel" did a great review on his CD "Guitar Texas" in their summer 2005 issue. It's still currently on their website. He has also been featured or profiled in 'Guitar Player', 'Acoustic Guitar', and 'Peavey Monitor'. In July of 2017 , Mike had the honor of playing the main stage in Nashville, TN for the "Chet Atkins Appreciation Society". He's been invited back this year to play again in July 2018. Also, Mike's instrumental version of "Yankee Doodle/Dixie" can be heard on a new video game titled "Bush Hockey League" that is out now on PS4 and XboxOne. He has several CD's for sale including "A Tribute to Chet Atkins", "Guitar Texas", "Try a Little Kindness", "Finger Pickin' Good", and a Christmas CD, "An Ear Candy Christmas" plus a few more.